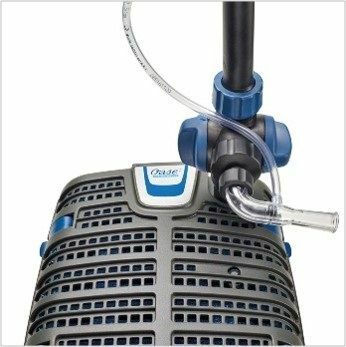 The OASE Filtral UVC 9000 Premium is a reliable, all-in-one submersible pond filter that combines pump, filtration and UV within a single, compact unit. 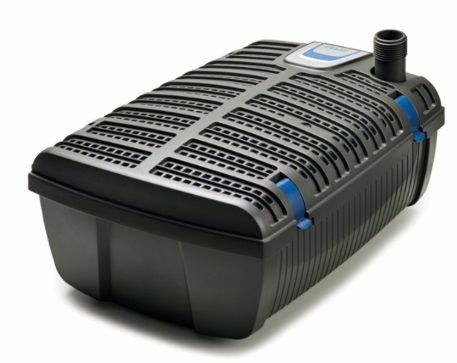 Ideal for maintaining clear, clean water in water features and garden ponds. Simple to install and easy to maintain. For ornamental ponds up to 9,000 litres and goldfish ponds up to 4,500 litres. 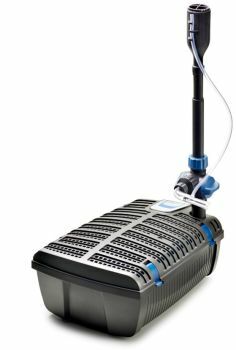 Integrated 2,500 litre per hour pump and 13 watt ultraviolet light. 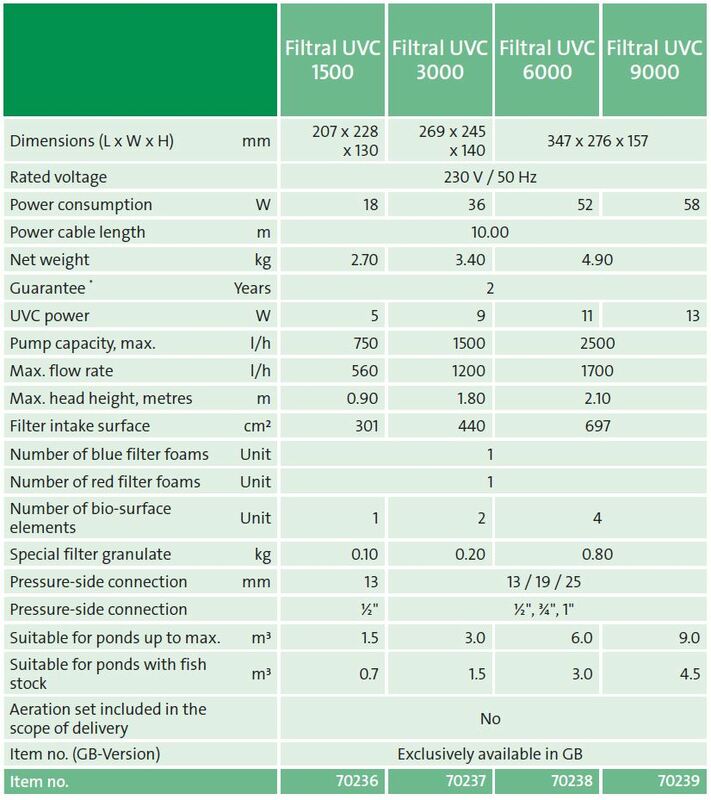 4 filtration media types; coarse foam, fine foam, ceramics and bio-media. 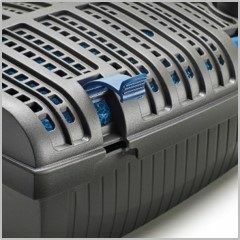 Side clips allow for easy removal of lid to access inner parts for maintenance. Can supply a stream or waterfall by connecting a hose pipe to the outlet. 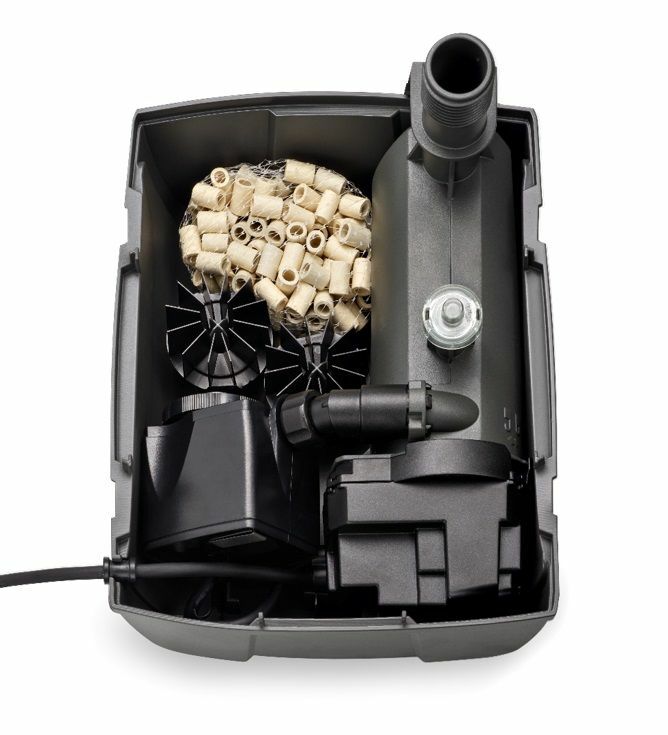 Optional add-on Fountain Kit and Venturi Aeration Set available.